Cuanto is a test tracking and analysis tool that stores the history of all your test results along side your analysis of those results. Test tags can quickly narrow your view to a subset of related tests. 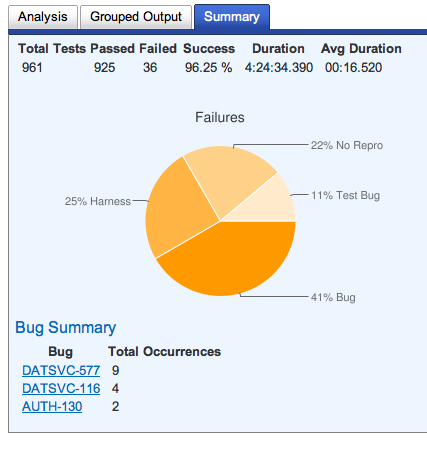 The most common test error messages can be grouped to focus your attention on the issues causing the most failures. Bulk analysis allows you to quickly apply the same analysis to a whole group of tests. 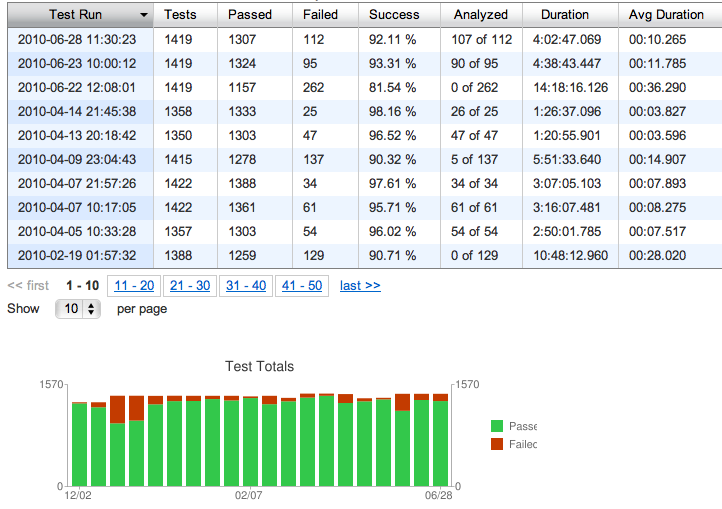 Cuanto aggregates data about test runs and reveals trends. As test results accumulate over time, your analysis and the historical record of your tests become a powerful resource to draw upon. Not only can you track the history of test runs, you can also track the history of an individual test case and it's analysis. 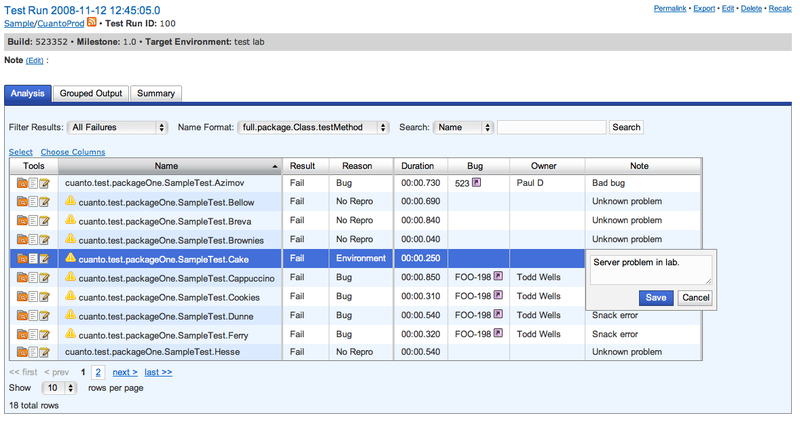 Cuanto is a web application that can be used simultaneously for many test projects. 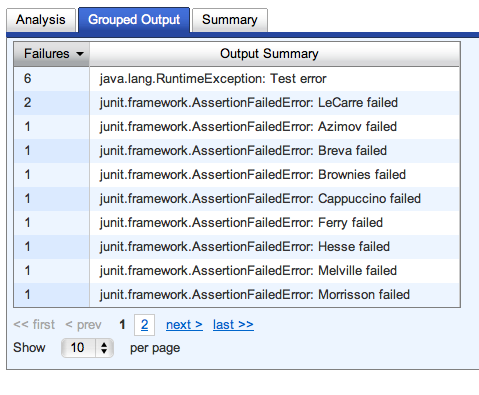 You can submit all of your automated test results to Cuanto using a REST/JSON API, a Java API or an ant task. Cuanto can be a central location for all of your organization's test results, analysis and histories for all your projects. You can find the latest official release on the releases page. See INSTALL.html inside the downloaded release package for installation instructions or view the instructions on github.